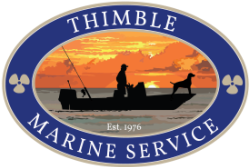 Welcome to Thimble Marine Service. Your locally operated marine specialist, in the heart of Stony Creek. With our knowledge and expertise, we continuously strive to provide top quality work at reasonable prices. Customer satisfaction is our top priority, and we constantly aim to make your boating experience more enjoyable.